A Little bit of Lorene: the Charm Swap is coming!!!!! Hi Everyone! do you like scrappy quilts? I sure do. I am a sucker for scraps. My friends give me scraps and I am thrilled. I can hardly keep up with cutting up scraps. In fact I am behind. But I truly love them. 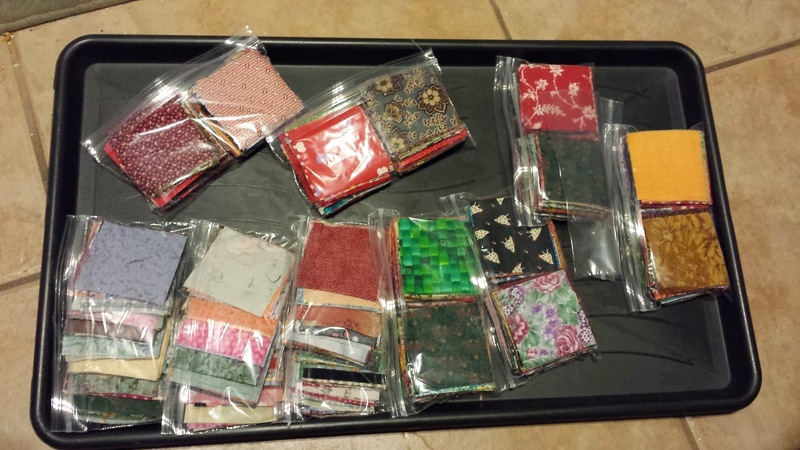 Well, The Curious Quilter has announced the new 1.5", 2", and 2.5" charm swap. the limit is 8 sets of 100 in each group. I want to do 8 sets of each size. Am I crazy? YES!!!! But reality has to set in. If I do it al,l that's over $60 in postage. Ok, lets look at this way. I would get the same back. would it decrease my stash? No, because everything that would be sent back would replace what I had sent. Just different. So I need to decide what my budget is, and what sizes I have to have. then get ready for it. The sign up begins March 14, 2014. So if you are interested, please go over to the The Cuirous Quilter to check it out. She has tutorials and lots of pictures for doing a postage style quilt.